Recommended Grain: Soft hearty grain such as farro or wheat berries. Replacing the more traditional red grape with cherries in this prestigious salad is an obvious substitution as a Traverse City native. Haling from the self proclaimed cherry capitol of the world its easy be inspired by the small stone fruit. Cherries, with their long list of phytochemicals including many phenols, phenolic acids, flavonols and anthocyanins, offers many bioactive molecules linked with anti-inflammatory pathways. Preventing and reversing inflammation has been linked with decreased risk for all chronic disease and better health outcomes. With this pedigree the much glorified red grape is not the only phytonutrient heavy weight contender. The crunchy walnuts, chewy whole grains and the crispness of the celery and apple leaves little to be desired in regards to texture. With the cherry and apples' astringent sweetness and the warmth from the cinnamon, flavor is defiantly not an after thought. 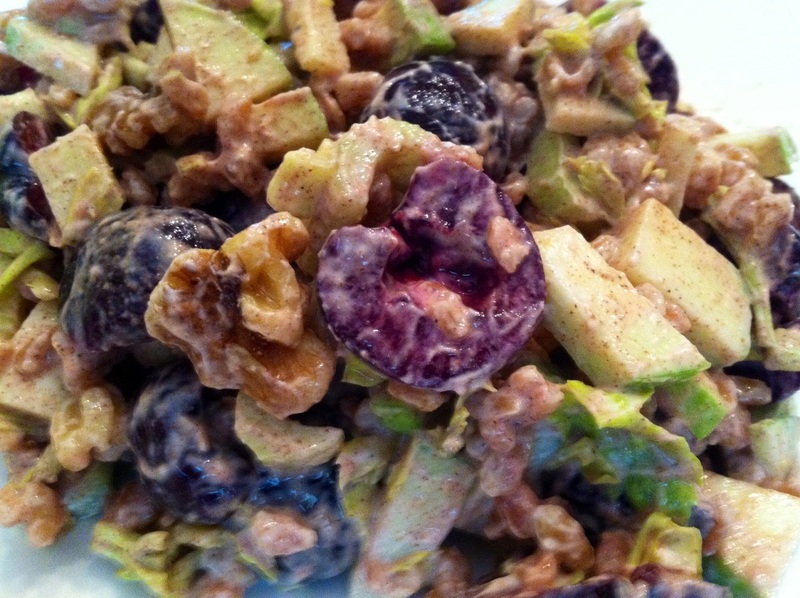 Enjoy this salad with warm whole grains or chilled. To increase the nutrients and disease fighting power serve on a bed of water crest or baby greens. The nutrition facts state that this recipe makes two servings but the portions are quite large and you may find that is makes closer to three or four.